Ear infections are common in children but adults can also get them. They can cause ear pain, fever, and hearing loss. 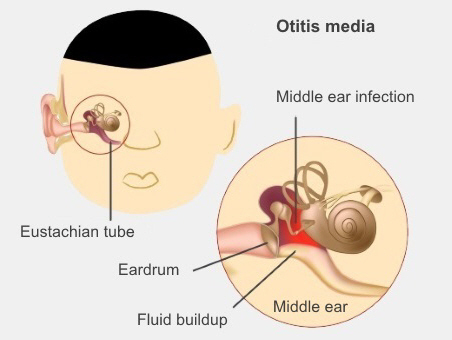 Middle-ear infection, is also called otitis media. 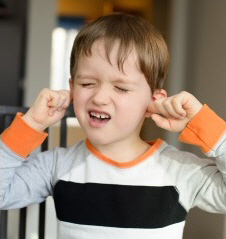 This page mainly refers to ear infections in children. Paracetamol can help the pain from ear infections, but make sure the dose is correct for the child's age and weight. Too much paracetamol can be dangerous. Check with your pharmacist or doctor. Some children (normally older than 2) don't need antibiotics for ear infections, and can get better without them. Whether your child needs antibiotics or not depends on how unwell they are, their age, and their general health. Middle ear infections can also lead to glue ear. the symptoms are getting worse or not improving within 48 hours of starting. glue ear isn't getting better within three months. The specialist will talk to you about whether your child needs hearing tests or ventilation tubes (also called grommets). They may suggest you wait and see what happens. This depends on whether there is a problem in just one ear or both ears, and whether your child's hearing is affected. They might also recommend giving the infection or glue ear more time to settle and returning for another check-up. This page explains the anatomy of the ear, how ear infections develop, what you can do to help prevent them, signs and symptoms, treatment and more. Written by HealthInfo clinical advisers. Endorsed by clinical director, Otolaryngology, Canterbury DHB. Page created August 2015.